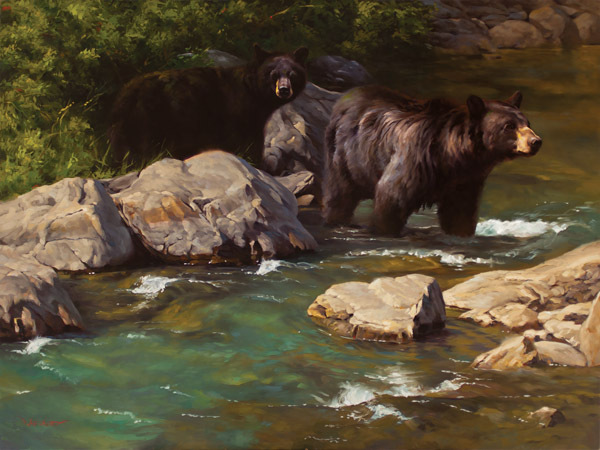 These two bears seem to be enjoying a dip in the flowing, turquoise waters. As the bears make their way across the stream, the lead bear appears to pause. Maybe the air brings a familiar scent, or a possible intruder has been heard. But, for now, these magnificent creatures will enjoy the refreshing, cool water.